- Forest green candle, scented with myrrh, ginger root, vanilla, clove and caraway seed. "May my mind, heart and soul reach a state of perfect serenity. May all my thoughts and actions reflect my pursuit of a peaceful and tranquil existence." 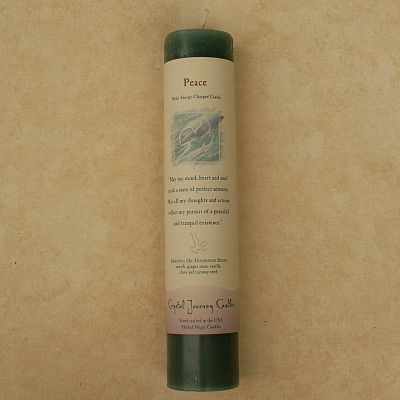 Do you have any other questions about our Reiki-Charged Peace Pillar Candle?